Six polling stations in First Nation communities ran out of ballots on Monday, the final voting day in the current federal election. The polling stations, in Ontario, Manitoba, Saskatchewan and Alberta communities, ran out of ballots in the late afternoon and early evening, triggering calls to Elections Canada officials. The incidents may signal a large voter turn-out from First Nation communities. 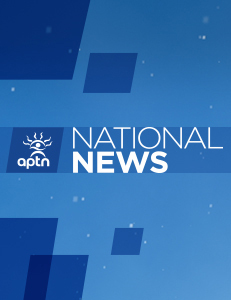 Elections Canada told APTN officials are working on the issue and “everyone will get to vote.” A spokesperson said polling stations can photocopy ballots. Assembly of First Nations National Chief Perry Bellegarde has been pushing the First Nation vote and he even cast a ballot for the first time in a federal election Monday in Ottawa. The AFN has identified about 51 ridings were First Nation voters could influence the final outcome. Wab Kinew, a well-known author and educator, said ballots ran out at the polling station set up in the school gym in Onigaming First Nation, which sits in northwestern Ontario and his home community. 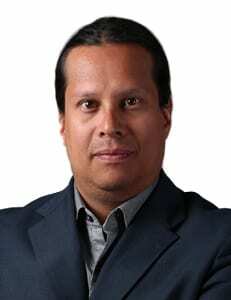 Kinew said the ballots were replenished by Elections Canada in the early evening. Kinew said the polling station ran out of ballots as a result of the high number of unregistered voters who showed up to cast their ballot. Kinew said no one was turned away from voting. “People are now going door to door and driving people to the poll,” said Kinew. Onigaming is now in the Kenora riding following a re-drawing of electoral boundaries which came into force in 2013. Conservative candidate and incumbent Greg Rickford, the minister of natural resources, is facing a strong challenge from Liberal candidate Robert Nault, a former federal Liberal Aboriginal Affairs minister, and Howard Hampton, a former provincial NDP leader and Native affairs provincial minister. APTN anchor Michael Hutchinson also reported that the polling station Shoal Lake 40, which is in the Kenora riding, also ran out of ballots. A polling station on the Siksika First Nation in Alberta also ran out of ballots in the late afternoon. People were lined up to vote at the polling station is in the Siksika Nation’s community centre when an announcement was made in the late afternoon saying there were only 70 ballots left. Siksika, which has a population of 7,200, was given just 400 ballots and they quickly ran out. “I think Elections Canada should have known instead of using an estimate of actual numbers that we have with our people,” said Siksika Nation Chief Vincent Yellow Old Woman. APTN reporter Brandi Morin says polling officials immediately got on the phone to Elections Canada to get more ballots once they ran out. Morin says community members have told her polling officials were aware they were running low on ballots, but didn’t act until they ran out. Siksika sits outside of Calgary and is part of the Bow River riding which was re-created as part of a redrawing of electoral boundaries. The Conservatives are running Martin Shields in the riding, the Liberals are running William Alexander, the NDP Lynn MacWilliam, and the Green Party has Rita Ann Fromholt running. Ballots also ran out at the polling station in Moose Factory which was set up in the Moose Cree First Nation band’s administration building. Elections Canada has allowed poll officials to photocopy new ballots. Metatawabine said people in Moosonee where walking through the Moose River, which is at one of its lowest points in recent memory, to Moose Factory to vote. Moose Factory an island in the Moose River. Moose Factory is in the Timmins-James Bay riding. NDP candidate Charlie Angus is seeking re-election. He is facing challenges from Conservative candidate John P. Curley, Liberal candidate Todd Leve and Green Party candidate Max Kennedy. A report also came in from Manitoba that ballots ran out at another polling station on a First Nation in that province. Manitoba Keewatinowi Okimakanak Grand Chief Sheila North Wilson said she received a report that ballots also ran out in Split Lake First Nation. “This is what I’m told,” she said. Split Lake is in the Churchill riding currently held by NDP candidate Niki Ashton. Ashton is facing a serious challenge from Liberal candidate Rebecca Chartrand. In Saskatchewan, the polling station on the Big River First Nation also ran out of ballots, said APTN reporter Larissa Burnouf who is on the ground there. Big River is the home community of Liberal candidate Lawrence Joseph who is running to unseat Conservative candidate Rob Clarke in the Desnether-Missinippi-Churchill River riding. Burnouf said over 800 people showed up to vote in the community Monday, quickly depleting the number of available ballots. y First Nation communities in the past. Maybe that’s why there weren’t enough ballots. Maybe it wasn’t done deliberately? I am so happy to see FN peoples out and voting. I will pray with you that Justin keeps his promises. This is outrageous. Four hundred ballots for all of Siksika? That’s insane, Siksika is enormous. This reeks to high heavens. Chief`s take your money and run. Rock the Vote!! Canada needs change. We are better than Harper! Sweet!!!! Keep voting! You matter you make a huge difference..we love you!